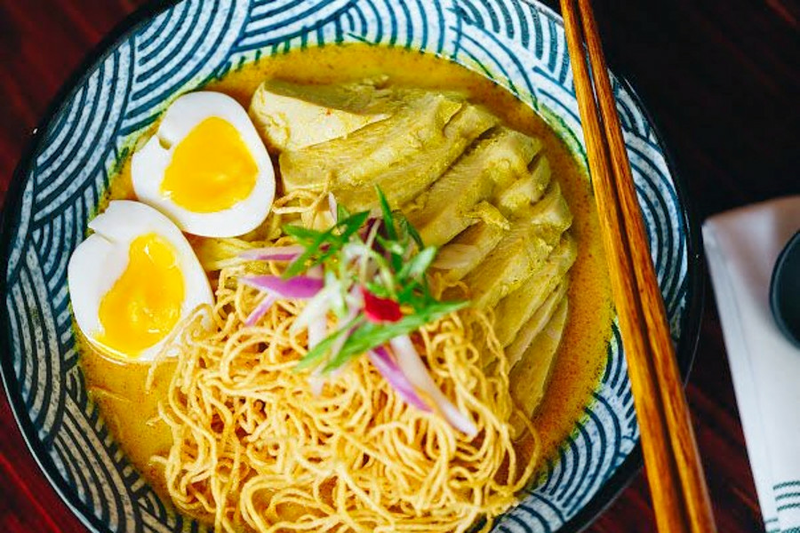 Ramen, shakshuka, sushi and more: What's trending on San Francisco's food scene? Want the scoop on San Francisco's buzziest local spots? We took a data-driven look at the question, using Yelp to uncover which eateries have been in the limelight this month. To find out who made the list, we looked at San Francisco businesses on Yelp by category and counted how many reviews each received. Rather than compare them based on number of reviews alone, we calculated a percentage increase in reviews over the past month. Read on to see which culinary destinations are trending this autumn. Open since July 2018, this Thai newcomer in the former Sa Beang Thai space on Divisadero is trending compared to other businesses categorized as "Thai" on Yelp. Citywide, Thai spots saw review counts increase by a median of 2 percent over the past month, but Mangrove Kitchen saw a 75 percent increase, maintaining a sound four-star rating throughout. Located at 312 Divisadero St. (between Oak and Page streets), Mangrove Kitchen offers Thai classics like tom yum soup, coconut curries and pad see ew, and house specialities that include a tiger prawn hot pot and honey-roasted duck. Yelpers particularly like its yellow curry and spicy crispy pork belly. 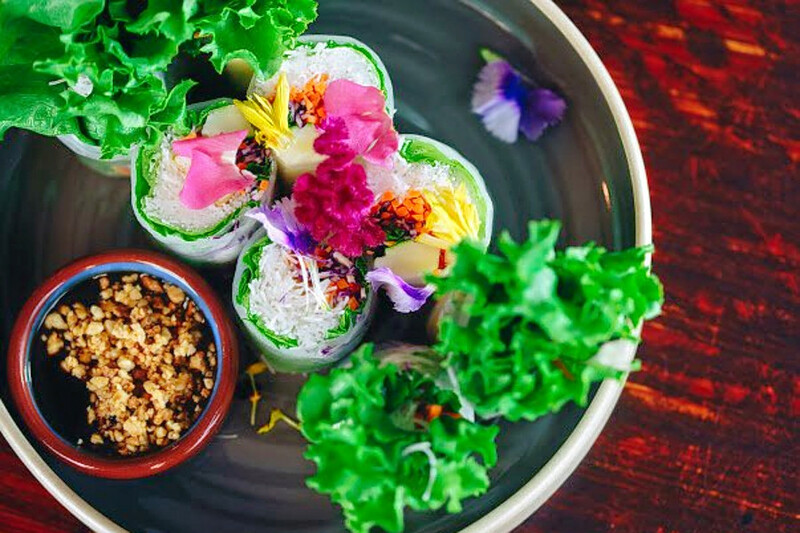 It's not the only trending outlier in the Thai category: Lower Nob Hill's Lapisara Eatery, which debuted in March, has seen a 56.6 percent increase in reviews in the past month. Whether or not you've been hearing buzz about the Outer Richmond's Violet's, the seafood restaurant and cocktail bar is a hot topic according to Yelp review data. While businesses categorized as "Seafood" on Yelp increased their review count by a median of 1.7 percent over the past month, Violet's bagged a 40.9 percent increase in reviews within that timeframe, with a slight downward trend from a 4.5-star rating a month ago to its current four stars. Open at 2301 Clement St. (between 24th and 25th avenues) since June, Violet's comes from the team behind popular nearby pizzeria Fiorella. 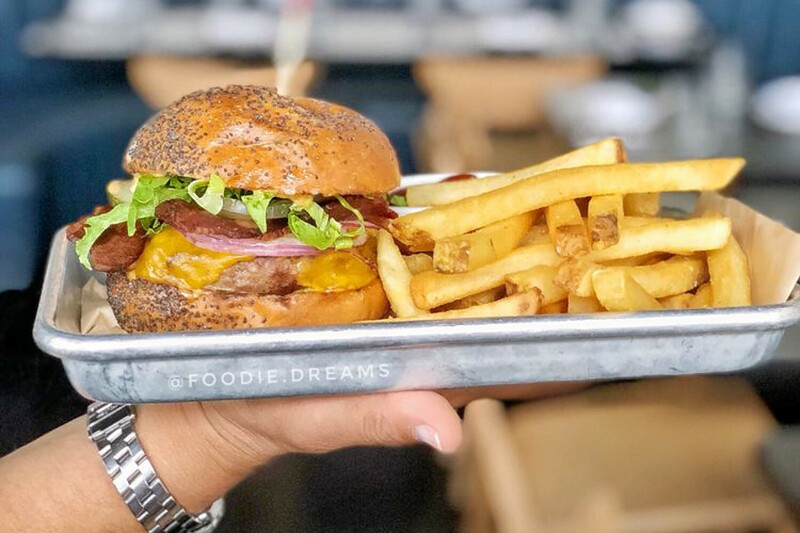 It offers a classic American-inspired menu with items like a double-patty tavern burger with steakhouse fries, fried chicken and cheddar biscuits, and porterhouse steak for two. There's more that's trending on San Francisco's seafood scene: fellow Richmond newcomer Pearl, which came on the scene back in May, has seen a 25 percent increase in reviews. Potrero Hill's Cracked & Battered is also making waves. Open since July at 1434 18th St. (between Connecticut and Missouri streets), the traditional American spot specializing in breakfast and brunch has seen a 60 percent bump in reviews over the last month, compared to a median review increase of 1.6 percent for all businesses tagged "American (Traditional)" on Yelp. There's more than one hotspot trending in San Francisco's traditional American category: Jack Clark's Pine Tar Grill, which arrived in SoMa back in June, has seen a 39.5 percent increase in reviews. 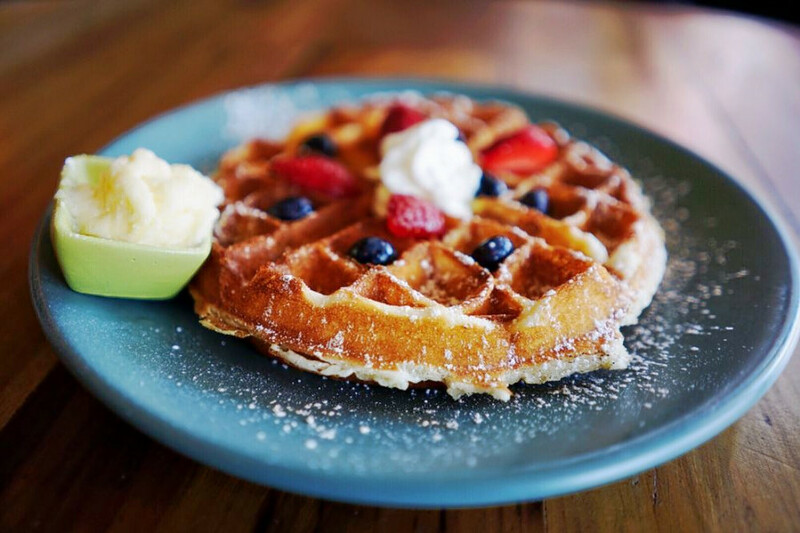 Cracked & Battered offers brunch items like chicken with a Belgian waffle; nasi goreng with two fried eggs and a piece of fried chicken; shakshuka with two eggs, house seasoning and a pita; and a barbecue chicken sandwich with a side of fries. Over the past month, it's maintained a healthy 4.5-star rating among Yelpers. Lower Nob Hill's Papi's is currently on the upswing in the Mexican category on Yelp. While businesses categorized as "Mexican" on Yelp increased review counts by a median of 1.5 percent over the past month, this Mexican spot increased its review count by 28.6 percent--and kept its rating consistent at 4.5 stars. Open for business at 846 Geary St. since March, this all-organic restaurant the fourth from the team behind Papito Hayes in Hayes Valley, Matador in Lower Nob Hill, and Tender Wine Bar, located right next door. 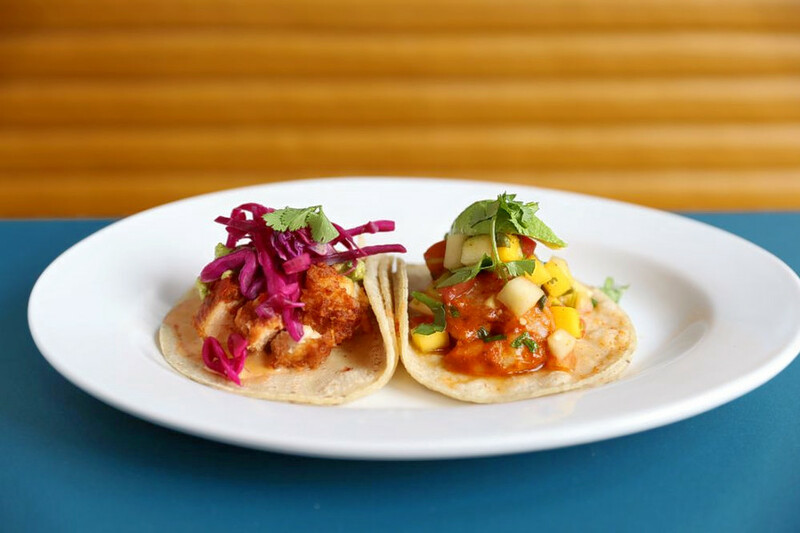 It offers upscale takes on classics like tacos, quesadillas and burritos, as well as brunch entrees like chilaquiles, omelettes and huevos rancheros. Open since May, this Nob Hill izakaya and sushi bar is trending compared to other businesses categorized as "Sushi Bars" on Yelp. 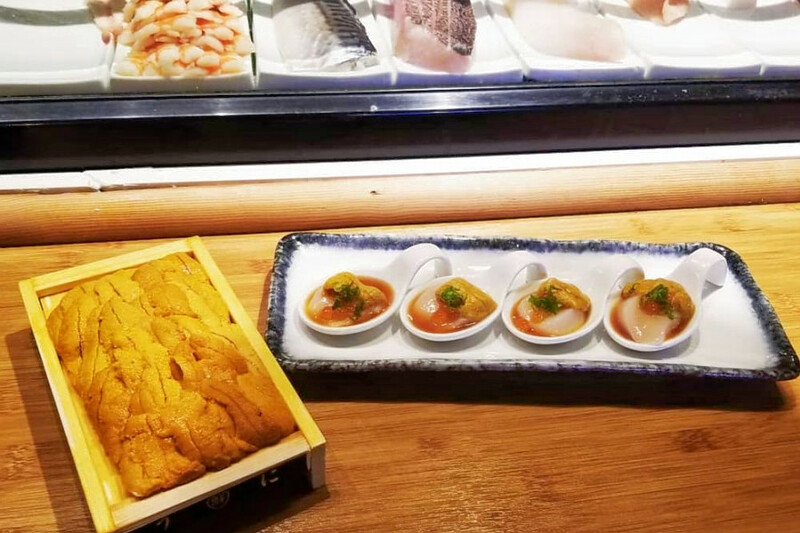 Citywide, businesses tagged "Sushi Bars" saw review counts increase by a median of 1.7 percent over the past month, but Izakaya Yoki saw a 34.7 percent increase, maintaining a sound four-star rating throughout. Located at 900 Bush St., Suite C101 (between Jones and Taylor streets), Izakaya Yoki offers Lion King, Geisha, Red Dragon and French Kiss rolls, as well as a plethora of nigiri and sashimi options.